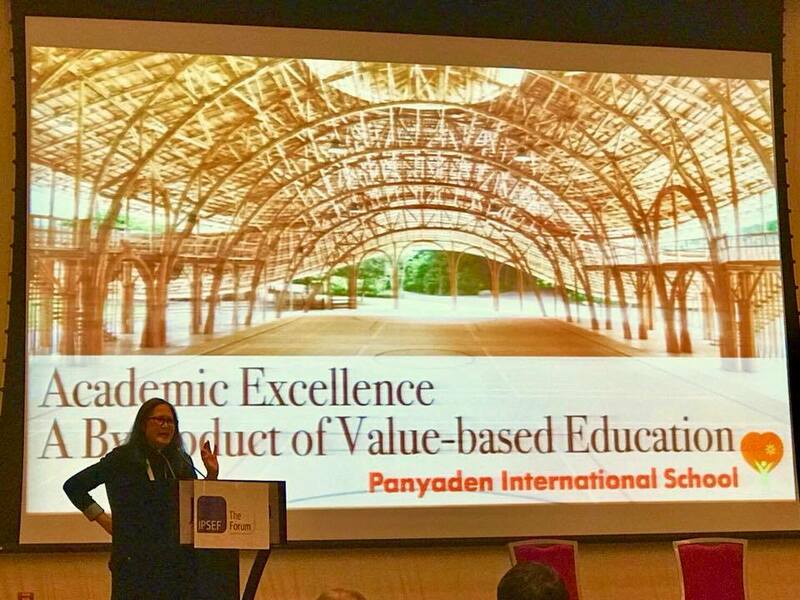 Yodphet Sudsawad (above), Panyaden International School’s Founder, holding a talk at the International Educational Conference for international and private schools, IPSEF 2017 in Dubai with the title “Academic Excellence – a Byproduct of Value-based Education”. Her talk received a lot of attention and praise. This entry was posted in Featured Posts, Others and tagged IPSEF 2017 Dubai, Panyaden International School's Founder, Value-based Education.